Since 2009, HOME PRO LLC ,Indoor Air Quality has been committed to bringing the best quality indoor environment to homes and businesses thoughout Maryland , Virginia & Washington D.C area . Our committment to health and a clean residental and workplace environment is trusted by hundreds of loyal customers. We are glad you found us, and invite you to discover how Home Pro can work for you. Air duct cleaning removes buildup inside your home’s air ducts to eliminate the presence of airborne pollutants and improve air quality. Everything in your home will eventually need to be cleaned at some point. Air ducts are no exception; they get dirty too. 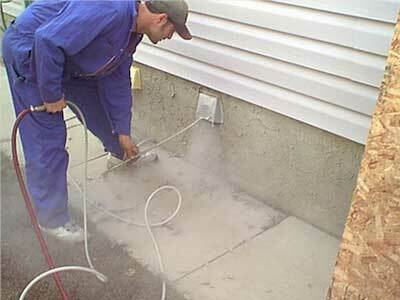 Air moves through your HVAC (Heating, Ventilation, Air, and Cooling) system and it caries dust. 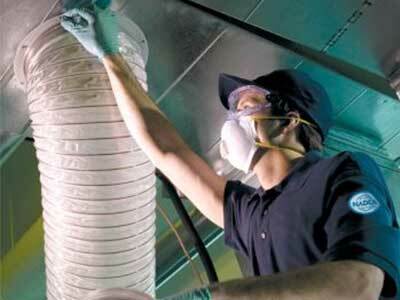 The dusty air slowly starts depositing dust in the air duct system. This is what causes the dirty build up you can see in your air ducts. Can you remember about the last time you cleaned your HVAC system? Probably never. Just imagine about how dirty your home would be if you never dusted it. According to the US Environmental Protection Agency (EPA), your home’s indoor air can be several times more polluted then outdoor air. Indoor air builds up pollutants like dust, dust mites, dander, and pollen. These pollutants are all allergens can be particularly troubling to people with allergies and asthma. Before beginning any HVAC cleaning, Home Pro expert technicians will open access ports and inspect the entire system. Our team members always make sure to protect carpets and furniture prior to cleaning. Next, the technicians will use brushes to agitate and dislodge dirt and debris. Our expert technicians will then use high-powered vacuums to vacuum up the dirt and exhaust the dirt right outside to our machine to protect your home’s air quality. Next, the technicians will inspect the HVAC system , the different parts of your HVAC system including , humidifiers, coils, duct surfaces, and fans. Finally, our technicians will re-seal and re-insulate any access holes they opened so they are airtight protect to the ductwork. Even if you clean the lint trap of your home’s dryer after each load, lint still builds up in the dryer venting hose. 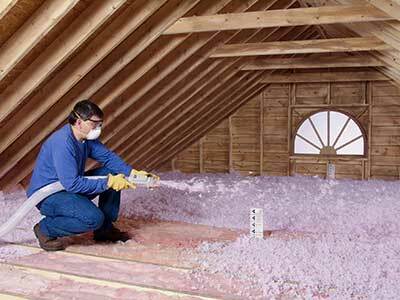 Because of this, Home Pro provides dryer vent cleaning services. Clogged dryer vents are serious fire hazards and they also waste power. Signs that your dryer vent is clogged and needs to be cleaned: clothes take longer to dry, the outside of dryer gets very hot, the laundry room becomes more humid than it is usually, or the laundry room has a burnt smell.